As far as the Saints are concerned, New Orleans always loves firsts. After all, it took 20 years after their inception for the Saints just to have a winning season. 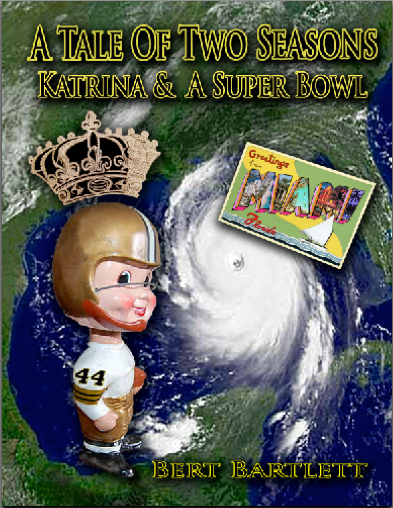 So the mood remains festive here after Drew Brees broke the all time passing yardage record set by Dan Marino in 1984. Though what does the record really mean? Drew Brees deserves accolades that come his way; indeed when he came here, New Orleans hit the Lotto as to the kind of player and person he is. In his Monday after commentary, Jim Henderson on WWL TV rightfully noted that this city cares about both. Brees averaged 339 yards over 15 games to set the record. Glance at weekly passing stats, including from numerous losing teams piling up trash yards in losing efforts, and you will see most quarterbacks in most games pass for between 250 and 300 yards – on average. A quarterback passing for less that likely is not considered good enough to play in the NFL. Brees is a model of consistency, but the bottom line is this has become an air it out league – by design. Such was not the case, establishing the run was still paramount, when Marino set his record, which makes his perhaps having greater impact. Hall of Fame coach Don Shula did an admirable job of adapting his “system” to Marino’s talents, but the coach, oddly, never found a sturdy enough defense to surround him with, and all Marino has on his championship resume is a Super Bowl blowout at the hands of a balanced San Francisco team. New England’s Tom Brady is only 190 yards behind Brees, and could conceivably catch him when they play the Bills on Sunday, particularly if Brees were to sit in part of what will amount to a meaningless host finale with Carolina. If Brady does catch him, at least #9 got there first. But Sean Payton has announced “full speed ahead” for his team for Sunday’s game with the Panthers. Unlike when they won it all in ’09, the Saints are apparently not looking for a rest by sitting starters before the tournament (unless Payton is using rhetoric, which is possible). It’s unlikely a win Sunday will improve their seeding, as the odds of San Francisco losing to the lowly Rams are infinitesimal. The Rams are a garbage pail of a team, and the players’ cars will be running in the parking lot so they can leave for the off season as soon as possible when the clock mercifully expires on their season. And Brees can still stay on pace for Johnny Unitas’ record of consecutive games with a touchdown pass (47). Brees is in the low 40’s. Yet all of the above may provide some circumstantial, trivial distraction from what’s the ultimate in the game, pursuit of a a championship. Nobody knows this better than Sean Payton, and one guesses this is a “good” problem for him to have. But he could have multiple headsets to listen to on Sunday in the Superdome, one for the Panthers, one with Brady’s passing stats, and another with the score of the 49’ers versus Rams. Passing Records? Dan Marino may like to trade places with Trent Dilfer, an ugly duckling of a quarterback who led the Ravens to a title at the turn of the millenium. Dilfer was considered to be so pedestrian in ability, he wasn’t even invited to training camp the following year. Why head coach Brian Billick went in that direction bordered on coaching arrogance. The Ravens never returned to the Super Bowl, washing out with somebody named Elvis Grbac. For Marino, a ring would have lasted longer than his record. In summation, this record is – momentarily – a mixed blessing. Lots of sidebars. Unless it involves Fantasy, most football fans aren’t stat freaks like baseball fans – and general managers – can be. Come February, which would contain more glee, the record, or having beaten San Francisco and Green Bay in their places to get back to the Super Bowl? Knocking off those two teams consecutively would be a more meaningful accomplishment than 5,000 yards, not only for Brees, but for his team. Like the title – “Spinning Records.” Brees seems to have the right attitute, crediting the team. Brees is great but the media adulation is a little OTT. It’s a team sport.